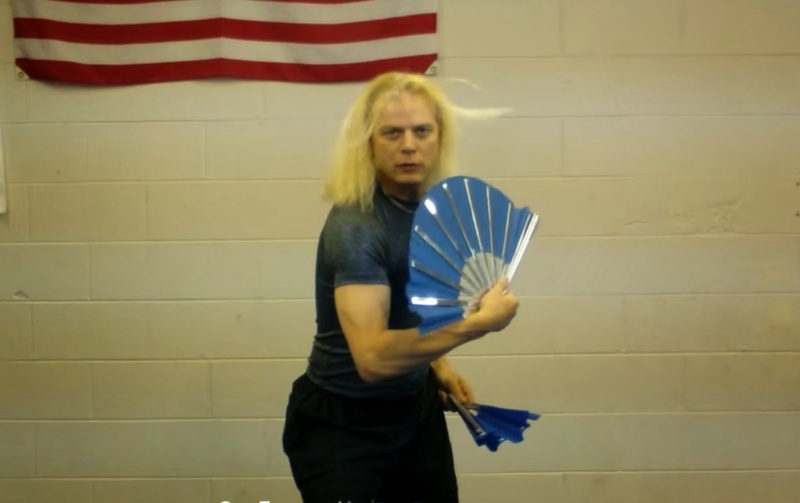 I have no idea how I am just now discovering Master David Bateman's Sulsa Do Corp. Master Bateman teaches out of Bateman's USA TaeKwonDo/Expert Karate in Cleveland Tennessee. According to the school's webpage, he teaches USA TaeKwonDo and Expert Karate. Expert Karate is described as a style established in 1985 under the governing body of the United States Expert Karate Association. It incorporates techniques from Karate, Judo, Jiu-Jitsu, Aikido, TaeKwonDo as well as weapons training such as Bo Staff, Stick Fighing, Nunchaku, Katana and Archery. But most awesomely, the style has a secret weapon other MMA styles do not. It also includes "Sul Sa Do training, better known as the KOREAN STYLE NINJA or Modern Elite Warrior!!! Practicing Jungle and Urban Warfare Tactics and Survival Skills.." Based on this, I can only imagine this video is but a small sample of Master Bateman's imposing skills. Karate offers both Physical and Mental Benefits. Physical Benefits include. Improved reflexes and coordination; Increased performance in ability of work. So I suggest everyone to join the Karate in Connecticut.